2018 Update: Hunting for the best cashmere sweaters? You may want to check out our most recent roundup, with tons of great cashmere sweaters for work under $200. We haven’t done a Hunt on cashmere sweaters for a while, so I thought I’d round up a few — while discounts will likely go deeper over the next few months, selection is already dwindling. Cashmere can be a tricky thing to recommend — over and over again I’ve seen readers commenting about how the softness changes from one season to the next, and how they notice differences in softness even between colors in the same season (not to mention taste differences from one person to the next — my most hated cashmere sweater was an itchy, misshapen mess that came from a mass retailer that I’ve seen numerous folks recommend specifically for cashmere) so this is all a bit of a crapshoot online. That said, if you’re busy and don’t feel like taking a weekend afternoon to go touch cashmere, these would be some of my first stops when looking for myself. These brands aren’t included in the roundup, but I’ve also recently seen readers recommend Land’s End (rec here), Akris cashmere (rec here), and Michael Kors cashmere (rec here), just to round up a few — I didn’t include an Inhabit NY sweater this time but I’ve been a fan of the sweaters I’ve gotten from them before. (I’ve also been intrigued by Everlane’s cashmere for a few seasons now, but haven’t found the right shape for me just yet — it looks like they currently have an interesting tunic that might be nice for the weekend, but it’s either sold out or waitlisted right now.) Readers, what brand is your favorite cashmere sweater? Where is your first stop when hunting for cashmere for yourself — and what shapes do you think are essential (e.g., turtleneck, v-neck, boyfriend cardigan, shrunken blazer, etc.). My very favorite is from Lord and Taylor’s. They had numerous sales before Christmas, but if you stalk the website daily one day all of their cashmere sweaters went down to $50. This happens about 5 days before Christmas. Yep, seconding L&T, although I will say that this year’s cashmere seems a bit thinner than previous years. I was given three sets of cardigans + love sleeve sweaters in different colors two years ago, and I can vouch for their softness and (two years ago’s) durability, but they’re a bit short in the arms, and end up being bracelet length on me. I work in a very small professional office (approx 8 people). My colleagues threw me a very nice baby shower and got me a few gifts “from the office,” and a few people got me gifts from them personally. Immediately after the shower I emailed everyone (mass email) to thank them for the shower and the gifts. Should I also send individual thank you cards? Of course you should. How is this even a question? Wedding and baby showers are the Ne Plus Ultra of thank-you cards. People who have never thought about etiquette in their lives get Militant Emily Post about it. If there’s a way to be offended, they will be. So if there is marriage or a birth involved in any way in the gifting, ALWAYS send a card. Send two, just to be safe. And possibly give gifts in return because people NOTICE. When you said you got these gifts “from the office” I assumed that your coworkers pooled in money to buy a few group gifts. But it seems like your office has a budget for this kind of thing. If it were a large office I’d say send a handwritten thank you note to the head of the office and then one to whoever did the most work in coordinating the gifts purchase, the party etc. Since it is a small office, just do the individual thank you notes. Caty is right that people get militant about thank you notes for wedding and birth stuff. I would send individual thank you cards to those who gave individual gifts. The mass email was appropriate for the “office” gift. I love cashmere! 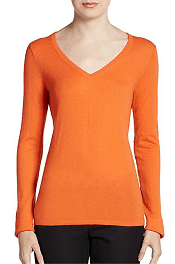 I have several Lauren cable cashmere sweaters from a few years ago, but they don’t offer them anymore. My new fave is brooks brothers…pricey but worth it. Soft but substantial and a great color selection. I started collecting cashmere sweaters about ten years ago and I expect my collection to last for many years to come. I don’t wash them, although I know many do. I dry clean about once a season, less if its a sweater I wear over a shirt. I just found a moth hole in my Lauren cashmere sweater that I bought 14 years ago. It was by far the best cashmere sweater I ever owned and got very regular wear. Take it to a French reweaver! All is not lost! You can definitely save favorite sweaters this way! 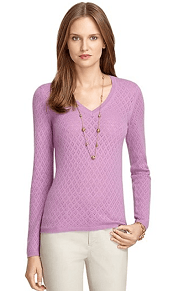 Best cost-effective cashmere – surprisingly – is Talbots for me. Even the medium-toned colors (light blue, light camel) don’t require a cami underneath for full coverage (AHEM, Jcrew), and I’ve experienced only light pilling over 1.5 winters. Keep it up! Favorite on-sale department store cashmere is definitely NM. I like Brooks Bros cashmere, but find it scratchier to begin with than either of the above. I suspect that means it’s actually slightly better quality, but my itchy skin doesn’t care if it will last an extra 3 years when the first year or two are prickly. Dishonorable mentions: Jcrew (SO thin, pills immediately), Bloomingdales house brand (crazy shedding problems on two separate purchases). How do you stay motivated to not quit? I work in a small firm (8 attys) and I love the people I work with and, in the abstract, I like my job. I don’t want to work anywhere else and I wouldn’t want to be doing anything else. But…in what has been growing for 3-4 years, and has gotten out of control, I want to quit. Immediately. I have an alternative business plan to go into business for myself and have written the business plan, mapped out the finances, and really think if I threw myself into it I could make it come out in the black within 9-12 months. But I am so terrified to quit. I grew up poor, and I am terrified – TERRIFIED – of going back to a point in my life when we’re having “campfires” around a kerosene heater because we can’t pay the electric bill. Especially because I have two kids. So…I have told myself I have to stick with this position at least two years, until we are both debt-free (seriously – our house will be paid off) and have a family vehicle with <100K miles on it. So. How do I keep from absolutely daydreaming/wasting my time away at work? It has gotten to the point where it is all I can do to bill 20 hours a week. You ladies were my inspiration for years now when I have been motivated – how do you keep yourself motivated when you just want to get up and walk away and never come back? About me: 34, attorney, 2 kids, married, practicing atty 5 years. I don’t think quitting is a good idea. Since the success rate of small businesses isn’t great, I don’t think it’s worth the risk if you’re not well positioned to take that sort of hit. Think about the worst possible outcome and figure out ways to mitigate that risk before thinking more about quitting. Is there any way you could begin dabbling in your desired business? Obviously it really depends on the business, but perhaps getting into it at least a little bit will quell the desire to quit your day job. I have some suggestions below, but, assuming your spouse is on board, I would pursue your alternative dream NOW. I’ve been in a situation where I was just trying to stick it out in a position, and it led me to develop horrible work habits that still haunt me (e.g., posting online when I really should be doing something else). I managed to escape a significant hit to my reputation, but I was lucky – mostly because I didn’t yet have kids and could stay late if my procrastination caught up with me. If you’re daydreaming at work/wasting time, people will notice, especially in an 8 person firm. Alternatively, is your business something you can pursue on a part-time basis and could you negotiate a part-time schedule at your current job? If you really can’t quit or scale back right now, are there concrete steps you can take to move the business plan along? If not, can you take a class one night a week or make one lunch date a week? It helps me stay on task when I have something scheduled to break up the work routine. If you are usually able to have weekends free from work, it might also help you to really make the most of them. I’m assuming that you don’t like to spend much money on recreation if you’re aggressively paying down debt, but I think it would help to plan out awesome low cost adventures with or without your kids so the weekends don’t get eaten up by Target trips. I have had some low points, including some lately. I just remind myself how lucky I am to have this job, which is truly a dream job, and about everything I want to provide for my kids. Forget the electric bill– I want a good neighborhood with great, safe schools. In LA, that costs a king’s ransom, no joke. I want piano lessons, swim team, gymnastics, soccer in the fall, new basketball shoes, vacations, college tuition. In a world where everyone and their mother tells you to follow your dreams, love what you do, etc. (not to mention that you should be home with your kids instead of working), it takes a lot to stay the course. “It takes a lot to stay the course.” I agree with this wholeheartedly. At the same time, I also think that nothing great every came from playing it safe…except of course, being safe. I love LE cashmere. I’ve had some for 7-8 years now. They wash well. I’m not particularly easy on my clothes. I usually wait until they have the occasional 40% off one item sales. Even without it, the cost per wear is truly nominal. Q: I got rid of my black blazer b/c it had gotten too shiny and am struggling to find a replacement. Something like the Gap 2-button blazer (but lightweight wool would also be OK). I tried a 6 regular and it was too big and they were out of other sizes that were close (4, 6P; I am a 6P at Talbots). Can’t be too long — I’m 5-4 and high-waisted. Any thoughts? I’ll have to visit LE’s site tonight! 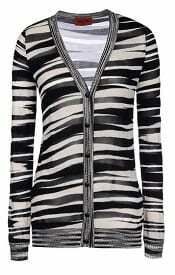 I am so lusting after that Missoni cardigan it’s not even funny. Must . . . maintain . . . shopping austerity month . . .
BRORA. I’ll stop shouting now. But that’s the place for cashmere. Cosign. Lived in Notting Hill and developed a really problematic obsession/awesome Brora closet. LOVE BRORA. PS–Lisa, I used to be your neighbor in Menlo Park. Small world. My recent favorite source for cashmere is the J Crew men’s section. They now make a men’s slim fit that is cut nearly the same as their women’s sweaters. (I wear the same size in J Crew women’s sweaters as in men’s slim cut, and I think they started making XS men’s.) The extra plus of the men’s sweater is that it costs less than the women’s version. How is the quality on the men’s cashmere? I stopped buying J Crew women’s cashmere a few seasons ago because it was grossly overpriced for the poor quality (pilling after one wear). In fact I hardly buy anything there anymore because their quality has deteriorated way too much while their prices have gone up. My Lands End cashmere sweaters are more substantial and wear better than my Halogen cashmere sweaters. But Halogen has more colors and fits me a little better. When they need cleaning (about once a season), I put them in a lingerie bag and use the hand-wash cycle of my front-loader. Not sure if it makes a difference, but I use the fancy The Laundress wool and cashmere shampoo. Air dry on a sweater drying rack. My Boden cashmere sweater is three or four years old and still looks brand-new. Just bought the Saks one. Thanks for the tip! I’m really intrigued by Everlane’s business model but won’t be shopping there as long as they top out at “large” which for them means 8-10. I’ve had that black J. Crew cardigan for a few months, and I love, love, love it! It is incredibly soft and lightweight yet slightly warmer than my silk/cotton Banana Republic cardigan. Perfectly goes from day to night, and the 3/4 sleeves are perfect for the office. Equipment cashmere sweaters are my favorite – super soft, never scratchy. 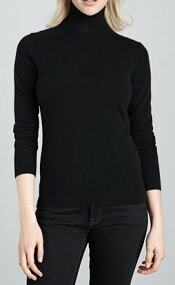 I wear the Sloane crewneck style to the office often, and I really like the Asher v-neck for weekends (it’s an oversized fit that looks great with skinny jeans). The quality is high; the sweaters really maintain their shape well after numerous wears. Basic colors rarely go on sale, but it seems like the Equipment web site offers a 20% discount on all stock roughly every quarter. For me it’s absolutely worth spending the extra money on a basic I know I can wear again and again. 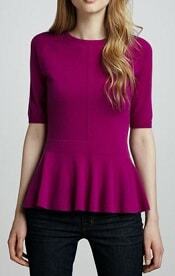 I have also found them on sale at Forward by Elyse Walker, shopbop and Nordstrom. +1 for Talbots-just bought several sale pieces there for $50 and my older pieces wear well, better than my ann Taylors. Nieman has been good as well in my experience rhough more expensive. I bought a sweater from Poetry and it’s gorgeous. Club Monaco also has a lovely selection of cashmere. 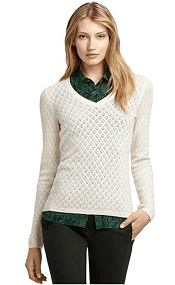 Land’s End has nice cashmere sweaters that semi-regularly go on sale. My mom bought me one for christmas that I absolutely love. Plus, they tend to have more cuts to choose from, which is nice. I agree that J. Crew tends to pill easily. However, the sales people at my J. Crew were very nice. They suggested using the Laundress sweater comb, which I’ve had good results with. Plus, they told me I was more than welcome to return anything I wasn’t happy with. Its SO hard to shop for cashmere. The flash sales that make cashmere affordable always end up being not as soft as you expect cashmere to be and I have massive buyers remorse. I had the most perfect cashmere sweater that got washed in the washing machine by mistake, ruining it. I’ve been on the hunt for the right replacement ever since… I’m excited for all the suggestions.